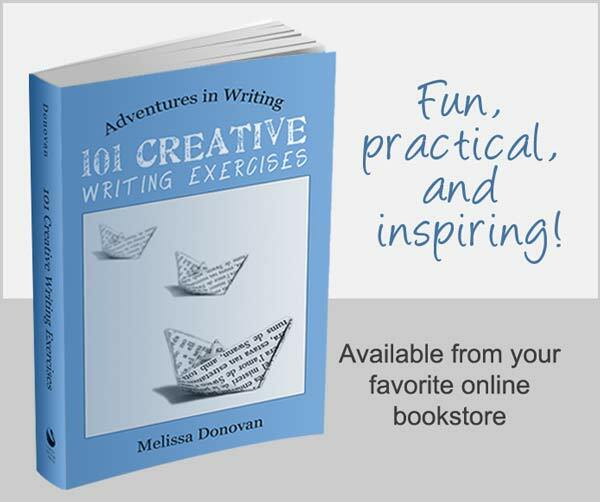 What is your creative writing process? What steps do you take to get a creative writing project completed? Is your method sheer madness? Methodical. I tried it on and decided yes, it fit. “I am methodical,” I declared, and went about my business. And it was true, too. I was organized to a fault, always looking for systems and processes that would streamline the workflow and make business more efficient and therefore more effective. The clothes in my closet were organized by season, length, and color. I didn’t have to flip through my hangers to find an article of clothing. Everything was neatly filed in its place. This is a good system — it absolutely works. But does it work for everyone? I’ve been thinking a lot about the creative writing process. Lately I’ve found myself working on all types of projects: web pages, blog posts, a science fiction series, and a children’s chapter book. How do I tackle all these different projects without some kind of plan or system? I’ve thought about the steps I take with my own writing and realized that the writing process I use varies from project to project and depends on the level of difficulty, the length and scope of the project, and even my state of mind. If I’m feeling super creative, a blog post or an article will come flying out of my head. If I’m tired, hungry, or unmotivated, or if the project is complicated, then it’s a struggle, and I have to work a little harder. Brainstorming and outlining can help. A lot. It occurred to me that I don’t have one creative writing process. I have several. And I always use the one that’s best suited for a particular project. One of my favorite sayings has to do with marching to the beat of your own drum. I like that saying because that’s how I walk — to my own rhythm. If I didn’t, then I probably never would have started my own business or believed that I could make it as a writer. In fact, I probably wouldn’t be a writer at all. Some writers can sit down and pound out an article, a short story, or even a novel without ever planning or outlining. Others have to follow a strict but creative writing process or they get lost and confused, tangled up in their own words. For example, when I am involved in a copywriting or nonfiction project, I find that brainstorming and outlining are essential. I need to organize my thoughts and make sure I cover the subject matter thoroughly. But with creative writing projects, such as fiction and poetry (and even the novel I wrote for NaNoWriMo back in 2008), I just start typing and let the ideas flow. Conversely, the NaNoWriMo project I did this year had a full, detailed outline. So with two different novels, I used two very different processes. We all start with interesting creative writing ideas and hope to finish with a completely riveting piece of writing. That day I overheard my boss saying that I was methodical was a long time ago. Since then, I’ve loosened up my methods. Oh, I can still whip up a streamlined procedure and implement it. I have to do that for my own business all the time, whether it involves maintaining my client contact list or managing my quotes and invoices; using a system for that stuff is extremely helpful. But my closet no longer looks like it’s maintained by Martha Stewart. It’s still pretty organized, but not by color and season. It helps to know when a system works and when it’s all hype. The first few times I tried to write a novel, I did so using the exact same writing process that I used for writing essays in college, and it simply did not work. It wasn’t until I totally changed the process that I was able to succeed and complete that massive creative writing project. Creative writing processes are good. The reason our predecessors developed these processes and shared them, along with a host of other writing tips, was to help us be more productive and produce better writing. Techniques and strategies can be helpful, but it’s our responsibility to know what works for us as individuals and as creative writers and to know what will cause us to infinitely spin our wheels. It is only by experimenting with a variety of processes that you will find the creative writing process that works best for you. …now show me yours. What’s your creative writing process? Do you have one? Do you ever get stuck in the writing process? How do you get unstuck? Hi Melissa: I do a lot of research on the topic I’ve chosen to write about. As I do the research I take notes on a word perfect document. When I have a whole lot of information written down–in a jumble–I usually leave it and go do something else. Then I sit down and start to work with the information I’ve gathered and just start writing. The first draft I come up with is usually pretty bad, and then I revise and revise until I have something beautiful that I feel is fit to share with the rest of the world. That’s when I hit the “publish” button 🙂 I’m trying to implement Parkinson’s Law to focus my thinking a little more as I write so that I can get the articles out a bit faster. That being said, my favorite pre-charting process is going out the on nights leading to it for a few rounds of beer with good friends! Hi Melissa – 50,000 words in 30 days is impressive. Good luck. I’m like you – I do different things depending on what I’m writing. With the novel I’m working on now – alot of stuff I write won’t even go into it. Some of the stuff the gurus recommend are the kind of things I’d do if I was writing an essay – but nothing else. I guess my process is that when its falling out of my head I try and catch it. This will be the first year that I attempt NaNO so I will need to be more organized. This is good for thinking ahead. One of the reasons I started blogging in the first place was to get in the discipline of writing every day. That was the first step. Just creating the habit. This will be a good next step. Melissa, I am really organized but my writing process has never followed the guidelines. I’ve tried them on for size and find that they don’t fit. Even in school, I never did outlines and drafts so I suppose I trained myself against the system! I always do research first and gather all of my notes, clips in one location. As for the writing process itself I let it rip, then go back and fine tune. It has worked for me thus far but I’m always open to trying new techniques on for size, hey if they fit I’m all on board! @Marelisa, that doesn’t surprise me. Your posts are comprehensive, detailed, and extremely informative. I can tell you care a lot about your topic and about your writing. That’s one of the reasons I enjoy your blog; your passion is palpable. @Joey, I love the planning stage too. In fact, sometimes I get stuck there and never make it out. Ooh, and white boards. Yes. Those are good. Usually I just use drawing paper though. When I do NaNo, I’m going to try to do less planning. In fact, I’m going to plan in October and just write in November. I’m hoping this new strategy will result in winning my word count goal! @Cath, I sort of pick and choose which tips from the gurus I use. Yes 50k in 30 days is intense, but hundreds (or is it thousands?) of people do it every year. Hopefully I can too! Wanna give it a spin? Hehee. @Wendi, you write in the jacuzzi? That’s cool. Or hot. I guess it’s hot. Your process sounds really natural. I started blogging for the exact same reason — to write every day. I’m excited to hear you’re doing NaNo too. That will be fun and we can offer each other moral support! @Deb (Punctuality), it sounds like you have a lot going on! I get into that mode sometimes, where I’m so overwhelmed, I can’t get anything done. It’s really frustrating. Sometimes I have to shut down for a day to get my bearings and that’s the only way I can get back on track. @Karen, that’s probably why your writing flows so well, because you just let it do its thing. I remember learning to do outlines back in 6th grade but it didn’t stick. Later, in college, we’d have to do them as assignments, so I didn’t have a choice. I realized that they sped up the writing process. Now I do them for some (but not all) projects. But I will say this: I actually enjoy outlining (weird?). Melissa, I’m not a real writer but I do love reading how you, who are, go about the business of putting words to paper. As always, a great post. Thanks. It is funny that you wrote about this today. I picked up an extra assignment with a today deadline. Let’s not talk about how long it’s been since I’ve written copy on that tight a deadline. My mantra: “If it doesn’t make it I don’t get paid for it.” Rinse and repeat. Also, I grew to enjoy outlining when I went back to university. Sometimes I’m happy just to outline; also known as a stall tactic. As for my NaNoWriMo process, I created a calendar (excel I think). I looked at what days I would not be able to write NaNo stuff and crossed them off. Then divided the remaining days into 50K. So each day I wrote, I wrote a “chapter” at least that many words long. You might want to shift the first two weeks to more words per day as after Thanksgiving life gets wonky and daily quotas start slipping badly. I found the book “No plot, No problem” (borrowed from the library)helpful but some of the text contrast is marginal (shades of gray). I found at least one personal story in each section relevant and that helped. And my secret weapon was finding a great forum family to hang out with and they were a great cheering section when I got really exhausted at one point; and we formed an LJ group and now we’re forming a critique group on a different LJ page. My prewriting is just writing. Writing trash. Then cleaning it up. 3 pages = 1 paragraph trash. Yeaaaaah. @Milena, what do you mean you’re not a real writer? Of course you are. You write; therefore you are a writer! @Deb, sometimes those crunch deadlines really light the fire. I’ve been amazed at what I can write in a day when there’s a client waiting for it with a nice big PayPal deposit! I’m definitely going to try to do more NaNo writing during the first half of November so I will have some leeway later, when the holidays kick in. I can’t wait! @Sam, That’s a good way to get it done! Do you freewrite your early drafts? I’ve been teased for editing too much, but it’s definitely worth it. You can get the good stuff early by just spattering it all over the page, and then refine it until it’s polished and sparkling! I never really liked the 5 step process when I wrote back in school, but I suppose that learning that did make me a better writer. I don’t have a set process, sometimes it’s just sitting at the computer and opening up my blog, or a blank page in Word. Sometimes things come from something that struck me during the day. I think I have to work on the discipline of actually sitting down to write more often! Practice makes perfect, or at least close enough, right?!?! I’ve tried to figure out what my process is, but it’s different depending on what I’m writing. Blogging – 90% of the time, there is no process at all and it shows. I’m usually writing as fast as I can think, and sometimes I can’t keep up and I may just jump to the next thought at random. I may go back and read and finish thoughts that were left incomplete. I try to write my blogs as if the reader is having a conversation with me, which makes it feel natural for me to write. Poetry – Most times I don’t like editting unless I’m really unhappy with the first draft. Usually I’m only changing or adding punctuations. But overall, I’ll get my inspiration and after reciting a few lines in my head and an idea of where I want to go, that’s when I’ll pull out some paper (or cardboard or napkins or laptop) and write a potential masterpiece. Story/scripts – I plan the entire story in my head. One might call it a brainstorm, but I’ll go farther and say it’s a hurricane. I won’t stop with just a story, I’ll create characters, scenes, even background music. A lot of times I’ll get the idea but I won’t be able to write anything down, like if I’m driving, rock climbing, sky diving or underwater. A lot of ideas come to me when I’m in the bathroom. Without sharing much details about that, I’ll just say I have time to think and let my imagination go to work. When I’m able to get to some paper or my laptop, I’ll write out the story and flesh it out a little until I’m done, or I’ll keep working on the story in my head and bounce it off some people to see how they would react of this happened or that happened. I don’t like outlines, but when it comes to screenplays, they help out a lot and it’s the only time I MIGHT use one. I’ve been known to go without them though. @Jenny, practice does make perfect! I believe that. I rarely use the five-step process on paper, but I think I often do some steps in my head, often without even realizing I’m doing them! @t. sterling, I consistently get some of my best ideas in the shower. There must be something very inspiring about bathrooms or water. Like you, I have a bunch of different processes that I use depending on what I’m writing. And after reading all the comments, it seems like that’s how it works for a lot of writers. I like the show me yours, show you mine tradezees. That depends on the complexity. If it’s something simple like some of my blog posts, I just start writing without outlines. For tutorials, usually there are steps so I will write down all the steps first and re-arrange them to the order I want. For stories, sometimes I write down the events that should happen, but sometimes I don’t. Even if I don’t explicitly write out an outline, I would still have some kind of structure in my head. And even if it’s written out, eventually I will get that into my head because it’s easier for me to sort through things that way. I think it might be a habit I developed from working as a computer programmer. I tend to rely a lot on short-term memory. I get all these details into my head, and then I try to sort things out in my mind. Oh yes, sleeping on it is definitely part of the process. I like to insert that right between rough draft and revision. Then I do it again between revision and polish or proofread. Sounds like you do things similarly to the way I do — a little of everything with the steps varying depending on the project. Great post! Thanks for sharing your insights on the writing process. As for me, I feel like I work in spurts of inspiration… Lots of writing, then editing, then writing again. That is how I’ve always written poetry — with spurts of inspiration and freewrites. Then I will go through the pages and pull out lines and phrases to build a poem. I do use brainstorming, notes, outlines, research, etc. for other forms, but it really depends on the project. Actually, I’m not that organize when it comes to creative writing. Most of the time I keep in tune with my thoughts. When something pop-ups (words, phrase, ideas, vocabulary) is immediately write it down on my black notebook. Writing down your ideas, words, phrases, etc. in your notebook is an excellent habit! However, I have to disagree with you on the importance of grammar. I think it’s essential for writers to master grammar and then (and only then) can you start breaking the rules. Of course, this may depend on what you want to write (i.e. blog versus fiction). Grammar gives writers a common or shared framework in which to construct the language, and believe it or not, there are some astute writers and editors out there who will judge your work rather harshly if the grammar is not up to par. That doesn’t mean it has to be perfect, but if you’re missing the basics, it’s likely they won’t bother reading past the first paragraph. By the way, a fast and easy way to learn grammar is by listening to the Grammar Girl podcast. Just a few minutes of listening a couple times a week will teach you more than you can imagine! I separate first draft from editing, but I’m not particular about whether I finish the whole draft before I start editing. Sometimes going back and editing the first 3 chapters gets me moving on a better line. When I edit, I do whole read-thrus until I’m happy with the story flow. Then I use the Autocrit Editing Wizard to really polish the manuscript. After that, I’m done! I’ve never heard of the Autocrit Editing Wizard. Sounds interesting. I usually edit short pieces like web page copy or blog posts on the fly, i.e. I will stop every couple of paragraphs and go back to re-read and edit. However, with longer works, I feel like if I start editing midway, I might lose the project and get caught up in polishing before the rough draft is nailed down. All that matters, however, is that each writer finds his or her own best method. Sounds like you’ve got it down! LOL! I think I’ve worked through every possible type of creative process possible. From outlining the whole darned thing to working with notecards, story boards and of course just winging it, which resulted in a story with a really flat ending – unforgivable:-) And while I firmly adhere to Anne Lamott’s *&^^%# first draft, I have finally settled into a process that works for me. I now use a plot worksheet and a character worksheet. It takes me a bit longer to actually start writing but what I write works and requires less editing. I’ve tried all the methods too, and I’m glad I did. I’ve learned that each one works for me, but in a different capacity. Creative writing, such as fiction and poetry, I just jump right in and start writing. Right now I’m working on a nonfiction, educational project using detailed outlines and note cards. I think what you’ve done is brilliant — figuring out what advice works for you and what doesn’t work and then letting your own, personalized process unfold. I have used all the methods, too, and I agree that the method used depends mostly on the subject matter. For novels, it also seems to depend on the genre. I can rip out a romance novel without an outline (in fact that’s the most fun way to do it). I finished a Romance for NaNoWriMo last year in three weeks. For novels with a more complicated plot at least a general outline is helpful (keeping in mind I have to be flexible enough to let the characters take over and go off in some completely different direction). For me the single most important thing is letting a certain amount of time go by between drafting and editing. It could be days, it could be weeks. For novels it’s even better for me to let months go by. It gives me the the opportunity to look at the material with “fresh eyes”. Probably for that reason, I tend to work on multiple projects at once: drafting one (early mornings on the weekends when I’m at my best); editing one and polishing another (weekday evenings). That way everything keeps moving forward, I never get bored and I always have new material in the pipeline. I’m with you, Meredith! I can see how it would be fun to write a romance novel on the fly, and I’ve heard that mystery writers often use outlines because they need to incorporate plot twists and must keep track of various story threads. Another method is to outline as you write, so you have notes that you can refer back to when necessary. 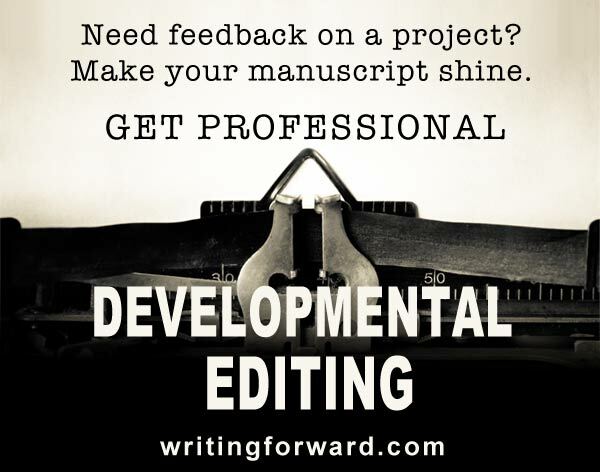 Allowing time to pass between writing, editing, proofreading, and polishing is absolutely essential! We know the brain will read incorrect text correctly, plugging in words and proper grammar, spelling, and punctuation. That time away really does give us fresh eyes! I love your strategy for working on multiple projects simultaneously. There are good things to be said for the traditional formula, but as you say it isn’t the only method that works. I have written eight novels and dozens upon dozens of short stories and never once sat down to do a brainstorming session to come up with ideas. I do a lot of research, but most of it as I go along during the writing process. The last three steps I think are golden though. I do have one new organization tip to share though. If your tech savvy enough to do a local install of wordpress on your computer it can become a great writing tool. Not only does it have a simple to use word processor in the form of the posting tool, it allows you to categorize your research and there are plenty of tagging plugins that will allow you to easily cross reference notes and text. I LOVE the idea of using a local installation of WordPress for research and novel writing. I can imagine all the benefits with links and images, even video. Hmm. I don’t know how to do a local installation, but I’m thinking another option would be to load WP onto a live domain and simply put it in permanent maintenance mode (plugin) or set up some kind of password protection to block it from the public. I definitely need to think about this as a tool. Thanks for the tip, Brad! I use Scrivener (https://www.literatureandlatte.com/) for all my writing. It’s great for research and saving web pages, building characters, plotting and planning, all in one place. And best of all you can break down a story into scenes (separate documents) within Scrivener itself – something you can’t do in Word or similar. Wordpress is all very well, but you can’t see all posts/pages at once in a sidebar – something you *can* do in Scrivener. You can download a free trial of Scrivener to see whether it’s for you. Don’t be put off by the complicated look of it – you can use as much or as little of it as you like and there are some very handy videos and tips on using it. I’ve found it’s the best thing for writing blog posts, short stories, novels, scripts, you name it. It can’t hurt to give it a go. I agree, Chris. Scrivener is amazing. I use it for fiction and poetry, and it’s made the writing process so much smoother. I highly recommend it to all writers. Plus, it’s reasonably priced. I’m loving reading all these, but I don’t really have a process … I sit at the keyboard and hope something comes out of my fingertips … and if it doesn’t I let myself get distracted by shiny things like Twitter. Mine: a novel. Its frustrating really, the difficulties of finding my creative writing process. I have difficulties in making a plot complex enough, and character development. I know they are major issues but I’m having trouble perfecting my writing. If you could help me in any way, I’d gladly appreciate it. Thank you. You’re getting an early start. The best advice I have for you is to read a lot. If you want to be a novelist, then read as many novels as you can. Try keeping a reading journal where you can write down your thoughts and observations about how other authors handle plot and character development. You’ll find that you start to read differently. Instead of reading for enjoyment or entertainment, it also becomes a fun study in your craft. You can visit my Writing Resources section or Books page to check out my recommendations for books on the craft of writing. Good luck to you! 1. Do background research. Mostly stuff for the setting like common plants and animals, names of places, photographs. I’ll also read books to familiarize myself with whatever topic of the book in involved. 3. Do spot research as I’m writing. Search for the name of something, looking at pictures of something to help me describe it; etc. 4. Move around the scenes as I write, which is sort of like shaking out the wrinkles in a sheet. I add new things that occur to me, correct typos, etc. That’s excellent, Linda. It sounds like you’ve nailed your process! I have no writing process, actually. I’m the type of person who thinks while I’m writing, or I think of an image and the story comes out suddenly. I also think before I write, and imagine how the scenes will turn out. I’m a very visual person when it comes to writing. In addition, I found out that when I do plan, my stories never get drafted at all, or they do but I don’t like it. Planning never really works for me. I need to let all my ideas be out of my mind, and not from pre-writing. All that matters is that you’ve found the process that works for you, and it sounds like you have! Here’s a trick (procedure, technique, system, gimmick) I use when I’m writing a novel. I don’t write linearly. Some parts of the story are more appealing to me than others so depending on my mood (perhaps that should be muse) I jump around. Admittedly, connecting the scenes may take a bit of of revision since I never know where the story will eventually take me, and on occasion I’ve had to trash a significant amount. That’s okay, since my goal is to enjoy myself every time I sit down to write – and I do. This method works well for a lot of writers. I mostly try to write my own drafts linearly, but I do skip around if I’m struck with inspiration. Every writer experiences different levels of enjoyment during the process. In my experience, most writers encounter a lot of frustration at certain points in the process. So I have come to view writing as rewarding rather than enjoyable. A lot of the work is fun, but a lot of it is difficult, tedious, even maddening. But at the end, it’s all worth it if you can push through the hard parts. Book suggestion: The Writer’s Process, Getting Your Brain in Gear by Anne H. Janzer. This book explains the actual psychology behind the creative process and then suggests how to apply it to your work. Some good insights. Thanks for the recommendation, Rod. I’m always looking for books on the craft of writing to add to my collection.